This practice in the Northern suburbs of Perth was established in Oct 2017 by 2 UK trained GPs who have spent the last 5 years working in Perth. They are both fully booked and are keen to bring on another GP to meet demand. The surgery has 13 rooms incorporating allied health, procedure rooms and a treatment room. The plan is to have 5 GPs in total however this will be staged so that the existing Doctors have an established patient before bringing on anyone new. The team includes a registered nurse, 2 receptionists, on site pathology, physio, podiatry and psychology. Opening hours are Mon –Fri 8am to 6pm and Sat 9am -1pm. Doctors can get involved in the Saturday rota if they wish however there is no obligation. It is a mixed billing practice and the current GPs bill approximately 35% private and 65% bulk. 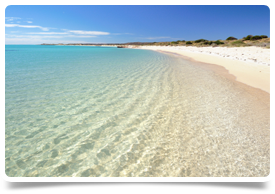 The surgery is less than 30 minutes from Perth CBD, is close to the coast and beautiful beaches. The area has a mixed demographic and there has been lots of new housing development offering a great selection of waterfront housing and apartments to suit all tastes. Nearby suburbs include Joondalup, Butler, Jindalee and Hillarys. Perth is great for families with beautiful beaches to the north and south of the city. The clean, clear coastline offer great spots for swimming, surfing and water sports. Perth has a fantastic social scene with plenty of alfresco style cafes and restaurants.